A swivel or revolving chair is a chair with single central leg that allows it to rotate 360 degrees towards left or right. Revolving chairs are generally considered to be ergonomic because they are designed in a manner to provide an optimum level of comfort to the user. All office chairs are revolving chairs to provide flexible movement and avoid lower back problems to the user in long run. Based on the usage and budget of the buyer, a chair with different specifications can be purchased. 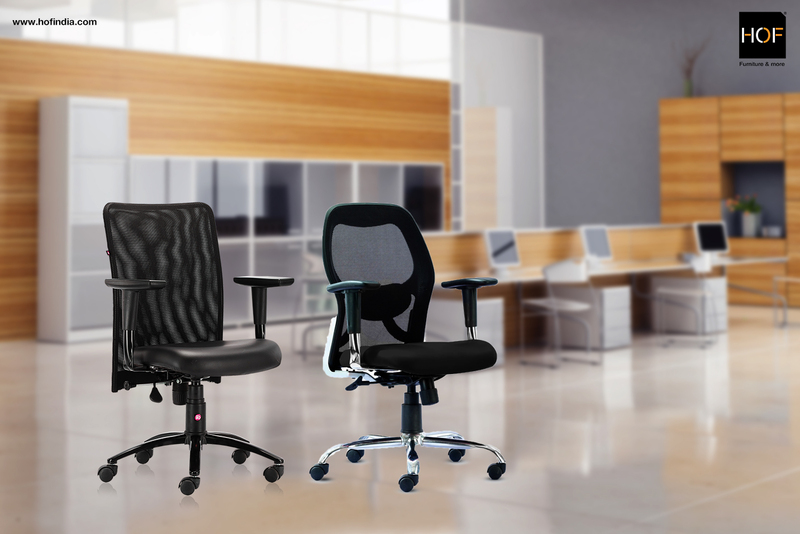 Chairs come with different features such as mesh back, multi position locking system and synchro mechanism. Mesh back in a chair allows air circulation around the user’s body, thus keeping them cool on hot summer days. Multi-position locking system allows the locking of a chair in any recliner position which results in the optimum level of support for the back. To increase the comfort level of the users, some of the chairs are cushioned in the back and seat as well. The padded and adjustable armrests are additional features to make sure that the buyer gets maximum value for their money on their purchase. Product descriptions of computer chairs online defy the common belief that one cannot know everything about the product in an online purchase. Computer chair prices vary according to the features of the chair. The buyer can choose a chair online that fits into his budget as well as the specifications that match his requirements. Apart from this, selected chair models can be customised according to the preferences of the buyer. Thus, in a way it can be said that online purchase of chairs can be a very convenient option for the buyer as it provides services to the customer at their fingertips.